Muhsin al Fadhli, who has reportedly relocated from Iran to Syria. Muhsin al Fadhli, a senior al Qaeda leader who once headed the organization’s network in Iran, relocated to Syria in mid-2013, according to a report in The Arab Times on March 21. Citing anonymous sources, the publication reports that al Fadhli has joined the Al Nusrah Front, al Qaeda’s official branch in Syria. He was apparently sent to the country after a dispute broke out between Al Nusrah and the Islamic State of Iraq and the Sham (ISIS). 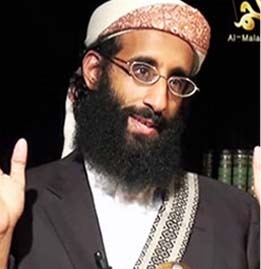 Al Fadhli was one of the trusted operatives who reported back to Ayman al Zawahiri on the dispute, according to the Arab Times, and he influenced al Qaeda’s decision to eventually disown ISIS. The Arab Times account does not identify its sources and parts of it do not ring true. For example, al Fadhli’s “four main targets” inside Syria are supposedly Bashar al Assad’s forces, the Free Syrian Army, the Islamic Front, and ISIS. However, only two of these targets make sense in the current operational environment. The Al Nusrah Front is closely cooperating with the Islamic Front, which is a coalition of several jihadist and Islamist rebel groups, and also works with the Free Syrian Army. 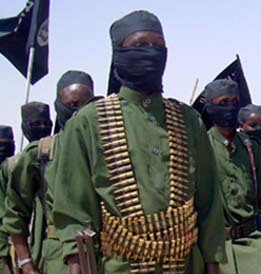 Still, the story makes sense in the context of other known aspects of al Qaeda’s operations. And US intelligence officials contacted by The Long War Journal confirm that al Fadhli has relocated to Syria. Al Fadhli became the leader of al Qaeda’s network inside Iran after a senior al Qaeda leader known as Yasin al Suri was detained by Iranian authorities. In July 2011, the US Treasury Department identified al Suri as the head of the network, which it said operates under an agreement between the Iranian regime and al Qaeda. Several months later, in December 2011, the State Department announced a reward of $10 million for information leading to al Suri’s arrest. This put pressure on the Iranians to shelve al Suri for a time. In February 2012, press reporting indicated that al Fadhli had replaced al Suri as al Qaeda’s chief inside Iran. And in October 2012 the Treasury Department confirmed that al Fadhli had indeed filled in for al Suri. With al Suri back in the game, al Qaeda had the operational freedom to deploy al Fadhli to Syria. Al Qaeda’s senior leaders dispatched trusted operatives to Syria once the dispute between Al Nusrah and ISIS became heated. Therefore, al Fadhli’s presence inside Syria makes sense in the context of al Qaeda’s decision to reshuffle its personnel. The Arab Times report draws from Kuwaiti sources, who have an interest in tracking al Fadhli since he is a native of their country. In 2009, the publication accurately reported that al Fadhli was then living along the Iran-Afghanistan border. And according to the US government, al Qaeda’s Iran-based network relies on Kuwait-based donors and facilitators, who support the Al Nusrah Front and other parts of al Qaeda’s operations. This provides even more reasons for Kuwaiti authorities to keep close tabs on al Fadhli’s movements. Al Fadhli’s presence inside Syria, where he is training recruits to attack the West, is a significant cause for concern among counterterrorism authorities. Al Fadhli was first designated as a terrorist by the US Treasury Department in 2005. Treasury noted at the time that his dossier was extensive. 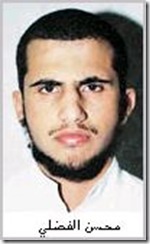 Al Fadhli has long been an elite member of al Qaeda. In early September 2001, Treasury explained, he “possibly received forewarning that US interests would be struck.” The Sept. 11 operation was compartmentalized and only select members of the network received advance notice. The Kuwaiti al Qaeda operative has been tied to the Oct. 6, 2002 attack on the French ship MV Limburg and the Oct. 8, 2002 attack against US Marines stationed on Kuwait’s Faylaka Island. One Marine was killed during the Faylaka Island shootout. He may have also been involved in the bombing of the USS Cole on Oct. 12, 2000. He went on to support Abu Musab al Zarqawi’s operations inside Iraq. An al Qaeda cell responsible for the 2009 plot against Camp Arifjan, a US military installation in Kuwait, had ties to al Fadhli. That cell was broken up by Kuwaiti authorities before it could launch an attack. And Egyptian officials have alleged that still another plot, targeting the US Embassy in Cairo and other Western interests, involved al Qaeda’s Iran-based network. The May 2013 plot was tied to a terrorist known as Dawud al Asadi, who had been in contact with the cell responsible in the months beforehand. Dawud al Asadi is one of the aliases used by Muhsin al Fadhli, but Egyptian officials have not publicly confirmed al Asadi’s real identity. Al Asadi reportedly put members of the cell in contact with Muhammad Jamal al Kashef, a longtime subordinate to al Qaeda emir Ayman al Zawahiri, as well as with other members of Jamal’s network. What’s funny to me is that by setting up their new shops in Syria is that they are far more encircled and in the open than they were in the remote mountains of Afghanistan-Pakistan. When the time of reckoning comes for this new incarnation of these cells(and it eventually will, by whomever)they will have far less places to go run and hide. 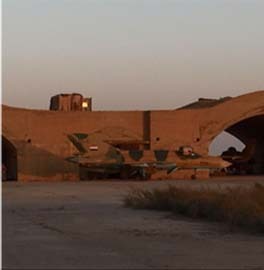 Can anyone articulate why Iran shelters al Qaeda at home in Iran while they are fighting them (Hezbollah) in Syria? Or is Iran no longer sheltering al Qaeda now that Iraq is “over” and Afghanistan is winding down. Is this a “the enemy of my enemy is my friend” thing? I concluded at the on set of Arab Spring that Al Qadia would take advantage that failed policy. It happened with highjacking of Arab Spring by the Muslim Brotherhood in Egypt – so why shouldn’t any reasonable and prudent person conclude the it would happen in Syria. It did and it has. It will continue. The really sad thing about about this whole mis- calculated affair is the the United States is giving Al Qadia the weapon in the form of aid to the rebels. To beat US over the head. Now what in the hell since does that make. This was kicked around over a month ago at the LWJ. The mullahs reasons are devious and clever. 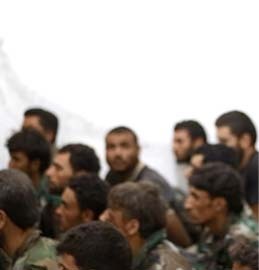 1) The mullahs have contaminated the anti-Assad revolutionary forces by inserting AQ jihadis into their top ranks. 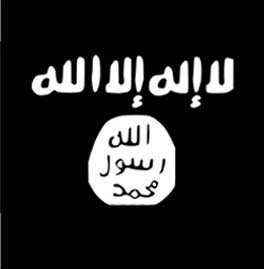 ISIL and al Nursra et. al. are politically toxic. As long as they’re out front, no-one in the West will finance Assad’s opposition. Brilliant! This gambit has been a spectacular success. No-one in authority is now advocating any military aid to the rebels. 2) The trickle of AQ jihadis that Iran filters into the fight are wholly insufficient to have strategic effect. 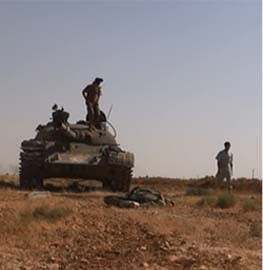 However, they do offer target practice for the Hez, and provide ample motivation for Assad’s allies. Nothing unifies a fractious army like the right opponent: Wahhabist fanatics. 3) McCain now looks like a total tool of the Sunnis. This was no accident, Iran made sure that AQ stained jihadis attended McCain’s Syrian photo-op in the desert. McCain’s video release was assured. It was only necessary to leak out the heinous crimes of his Syrian hosts to make the Senator look foolish. He is now widely perceived as a senile gasbag. For obvious reasons, the US State Department runs its own ‘private army’ – a special detail of ‘retired’ US Army/ Navy Special Forces – under the rubric of the CIA. If you ever wondered who hires ex-SEAL team members – you’ve found them. This agency is nominally under the wing of the CIA – but actually stands alone – taking its marching orders from the State Department. These are the fellows who can navigate the harsh alleyways of the world without wearing DoD insignia on their shoulders. They are used for tight, small, ‘influence operations’ – something that has proven to be highly effective. They are not spies in the James Bond sense, at all. Their operations run a lot closer to the mythic IMF of TV land… particularly the lack of bloodshed. The State Department depends upon them whenever the locale is just too dangerous for normal diplomacy. No better example could exist than the Benghazi weapons shuttle. The State Department had its hands all over it – running the Benghazi ‘store’ all the way from Tripoli – or Washington. On September 11, 2011, American Ambassador, Christopher Stevens, was co-ordinating weapons shipments from the Benghazi accumulation warehouses with a Turkish diplomat just minutes before the infamous assault began. Other than that meeting, there was no compelling reason for Stevens to be there. The Turkish diplomat had managed to pull Stevens into the kill zone. At some point, someone is going to ask just exactly why this meeting had to occur, had to occur then, had to occur there, and more generally, why the Turkish diplomat didn’t phone back to Stevens as he rolled through hostile road blocks on the way to the air strip. The meet seems strained, for in an era of electronic communications, what could have possibly required their personal presences? B) The Benghazi fiasco hearkens back to the way Tehran played the Reagan administration: Iran-Contra. In the Iran-Contra gambit, the Reagan administration wanted to shuttle weapons to freedom fighters without bringing the matter before Congress. They also figured that they could use weapons sales to the mullahs to secure the release of hostages. The scandal became big politics in DC. In both affairs, Iran-Contra and Benghazi-gate, the mullahs managed to get both administrations into hot water as they were (not so cleverly) moving the chess pieces around without Congressional OK. The fact that Libyan weapons were being transshipped by the administration to Syria via Turkey was made known all over the Internet. In spite of such obviousness and the allegations of Russia and others, the American press shuns the topic. From the outset, it was too obvious that this was another Iran-Contra – this time on a Democrat’s watch. Without a doubt, the mullahs now have every manner of embarrassing evidence against this administration. Tehran is in a position to trickle out one hypocrisy after another. The atomic negotiations are going down the exact same trail as the Iran-Contra weapons sales. If you recall, the Iranians slow-rolled the Reagan administration so effectively that the original deal morphed into a straight-up arms for hostages deal. As ever, Iran still has fresh hostages that the current administration would like to get released. Based upon Reagan’s experiences, the President is not even making the pretense of seeking hostage release. At least on that point, official Washington has learned its lesson: the mullahs will never run out of hostages or demands. Additionally, you can’t negotiate a win-win deal with Iranians. The mullahs may be total zeros in technology, but they are world class masters of manipulation and negotiation. There was also the plot to attack Canada’s railway last year which was traced back to the AQ network in Iran.